Back in September my family took a vacation at Disney World in Florida. I had always wanted to stay at one of the Disney resorts. (Yes I am still a kid at heart). The week was a blast with all the rides, shows and way too much food. However, beyond all the activities I was captivated by the Disney culture. 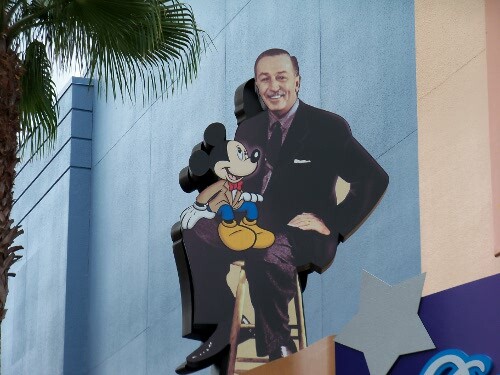 Walt built more than just a fun place to visit; he put together a team that built a cohesive culture. A culture so successful other companies pay Disney to teach them how to implement their style. Here are just a few of the things I learned from a week at Disney. 1. Employees know the company, not just their job. – Throughout the week we often asked for directions to our favorite ride, or restaurant at another resort. It did not matter who we asked the response was never, “I don’t know.” With a smile the employee (or cast member as they are referred too) would give us detailed instructions to get us on our way. 2. The Employees understood that their role was bigger than their job description. From the ride operators, to custodians that kept the park clean there was always a smile and a verbal greeting as we passed. One day a custodian at Epcot Center saw his job as something greater than just to keep the park clean. He had filled his dust pan with water and he used his broom as a paint brush. He would dip it in the water and then would draw Mickey on the concrete. It was amazing how many people stopped to watch him create his art. 3. Consistency – From the parks to the resorts the employees were very consistent in how they operated. No matter their job they always created a fun environment. One night we were browsing the shop at our resort. The clerk was driving a remote control car around the store. As were leaving, he kept driving it (gently) into the back of my son’s feet. For him, his job was more than just running a gift shop. He saw his role to create fun. As leaders we should never forget that we are building a culture. We can leave it to chance and let grow by accident, or we can be proactive and intentional with its creation. We need to cast a vision for those we lead. Our team members need to see their roles as something greater than just their job description. Building this kind of culture is not an easy task. Now it is your turn. I would love to hear from you? What kind of company or ministry culture have you worked for? What are some key ideas to build a great company culture?